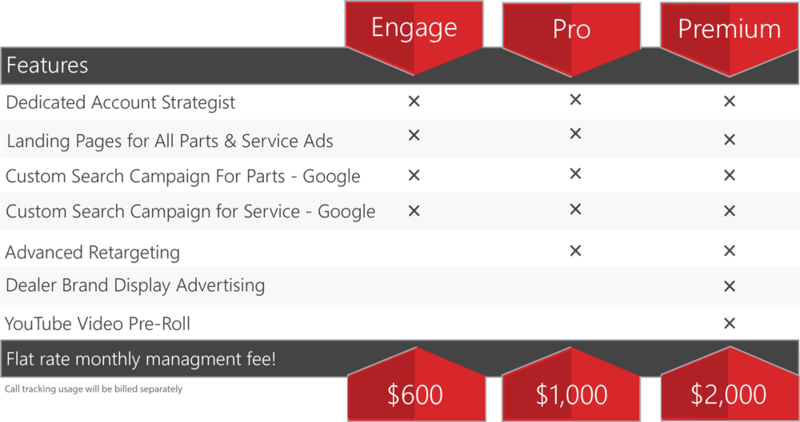 Dealer eProcess is the industry leader in parts and service digital marketing. For years, we’ve helped Service Managers drive more traffic to their service lanes by targeting customers at the exact moment they go online to search for a dealer who can service their vehicle. This targeted approach helps us generate more ROs and Upsell opportunities for our dealers’ service departments, which leads to more revenue and greater profits. 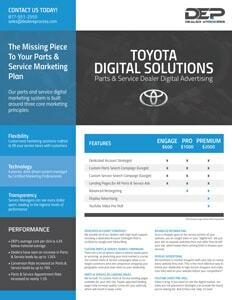 to find out how our Toyota Parts & Service Marketing System can help you take your service center to the next level!